mommy's reviews: Another New Pampers Gifts To Grow Code! Wow! 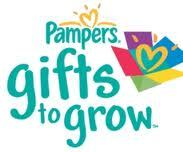 This is the week for new Pampers Gifts To Grow Codes, eh? I am loving the extra little points here and there...wonderful! This one is worth 5 points and the expiration is unknown.